Coaxial cable is typically used for cable TV installation. Mini digital TV can refer to technologies that bring HDTV to the laptop or desktop, or to miniature television sets that accept digital signals. This article focuses on the more popular former meaning. Mini digital TV comes in the form of USB or ExpressCard kits, packing a tuner, antenna and software to receive free, unencrypted, over-the-air HDTV broadcasts directly on your computer. Mini digital TV hardware has become increasingly compact with many models no larger than a standard USB thumb drive. These small devices contain a miniature tuner for receiving local over-the-air TV signals and in some models, FM radio broadcasts. 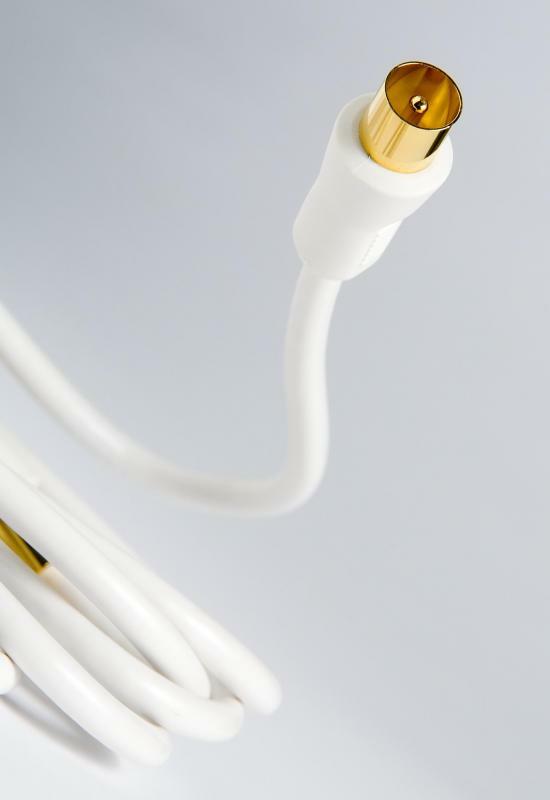 A diminutive HDTV antenna connects to the USB or ExpressCard hardware via coaxial cabling. Accompanying software scans for broadcasts and optionally record them to the hard drive, turning the computer into a personal video recorder (PVR). Windows® Media Center software can be used with compatible mini digital TV hardware, and in some cases might be superior to included software. Features differ between models, but generally include the ability to pause live TV and replay several seconds of just-aired material. This can be convenient to re-watch a sports play or to catch missed dialog. Scalable screen capability provides a kind of “picture-in-picture” functionality for multitasking. Place the broadcast in the lower right corner, for example, and continue surfing or working on the computer. Recording live, free-to-air HDTV broadcasts to the hard disc can consume roughly three gigabytes of storage for every 30 minutes of HD recording. Compression options might be included to record programs for playback on portable devices like the iPod®. Software bundled with less expensive models, however, might not include PVR functions, though several software packages are available online, many of which are free and open-source. The number of channels one can receive using a mini digital TV depends on availability of local free-to-air broadcasts. Location of the user in relation to broadcast towers, along with intervening topography, dictates availability. Online tools such as those found at TVFool can map local network locations based on a user-entered address to show which, if any networks are close by. Not all Mini digital TV tuners are compatible with all operating systems, so Apple® users should check for Mac OSX compatibility. If buying a model that uses the ExpressCard slot, be sure your laptop has the specific type of card slot required. Mini digital TV tuners can be purchased anywhere computer electronics are sold, including many discount department stores, with prices starting at about $50 US Dollars. More expensive models generally have better software, options, and a nicer graphical user interface (GUI), though exceptions certainly exist. Antennas with greater gain might also be included with some more expensive models. How Do I Choose the Best USB TV Tuner? How Do I Choose the Best TV Tuner Software? What is a Wireless Digital TV? What is a Digital TV Decoder? What are Digital TV Receivers?